Apple's HomePod is among the most expensive smart speakers, but that doesn't mean that no one buys it, on the contrary. Although the HomePod is the only option for Apple fans, there are ways to buy one cheaper than Apple's list price. At the time of this writing, you still have 20 hours to grab an Apple HomePod for just $235 at Woot. Although you'll be saving $115, it's important to note that this is a refurbished product, which comes with a 90-day limited warranty. The smart speaker is available in either Space Gray or White, and there's a limit of 10 units per customer. Even though Woot says that there are still 19-20 hours left until the end of the deal, if enough smart speakers are sold, the deal will go offline. If you manage to order one, you should know that the estimated delivery is March 5-11. Also, if you're an Amazon Prime member, standard shipping is free. The Apple HomePod powered by Siri features six mics to pick up all the sound in a room. So, whenever you want to activate it, simply say “Hey Siri.” According to Apple, whatever you say is encrypted and sent anonymously to its servers without being tied to your Apple ID, so you don't have to worry about that. You keep seeing price dropped for these things. Not a sale, but a major price drop. Why is that? Could it be that it's not very good? Could it be that Apple and others said that Apple had 6% of the smart speaker market just after the summer of 2018, but now Apple is down to 4% of the market? Yet the competition continue to rise. Could it be that the competition doesn't restrict you to Apple Music? 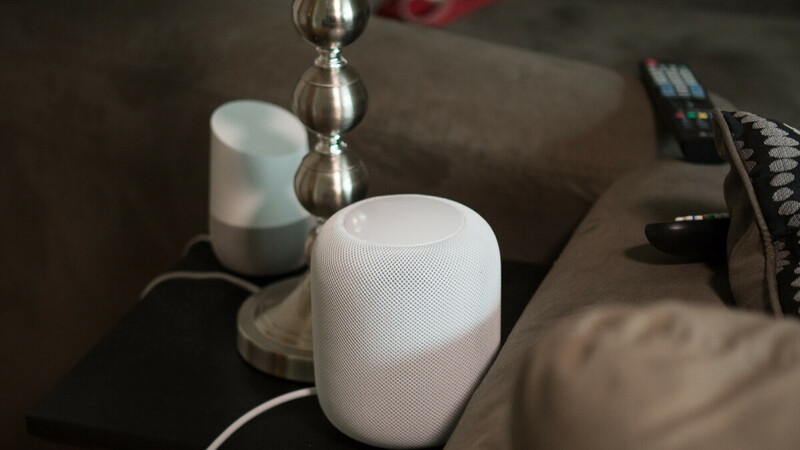 Could it be the lack of communication to other devices and technology that can communicate with the HomePod? When you add it up, this makes the HomePod a POS, and definitely not worth the money. Also the competition have smart displays nowadays, where is Apple on that front? Oh, that right, nowhere. Would not pay 1$ fot it, piece of crap!